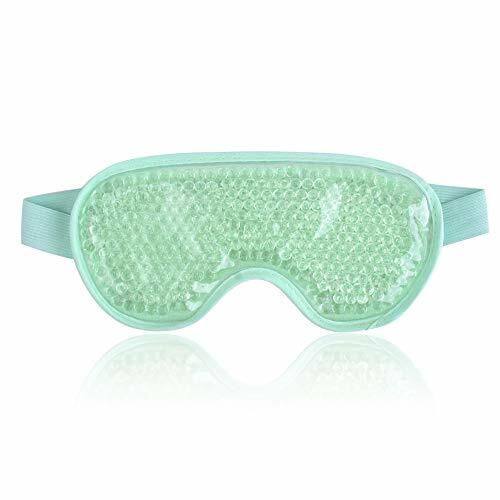 This gel beads eye mask (size: 7.87″*3.93″) are freezer and microwave safe,and distributes the coolness evenly to achieve therapeutic benefits. It features super soft plush on the one side to allow direct-skin use and provides ultra comfort in hot cold therapy. Great for puffy eyes, swollen eyes,sinus discomfort, migraine, allergy irritations. Chill it in the freezer or heat it in microwave, place it over your eyes and sinuses, you won’t believe the comfort. This eye mask contours perfectly to your face without drips or leaks.Notes: Be sure to follow safe heating and cooling instructions printed on the PET box and resealable bag. Hand wash only. Surface cleaning with a damp cloth or sponge. Copyright © 2019 Sublime Serenity. All rights reserved.